Girls & Panzer: Gekitou! Maginot-sen desu!! 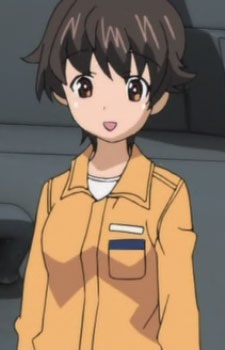 She is the team commander and radio operator of the newly formed "Lion Team" which are composed of members of the school's automotive club who often do repairs on the tanks in between matches. Her team operates a Porsche Tiger or "Tiger (P)."